Scenic Solutions has conducted many projects into measuring and mapping scenic quality, assessing the visual impact of developments and advising on policies. This section provides access to the reports on these projects. The map of South Australia indicates the location of many of these projects. This omits the study of the Lake District in England. The projects are summarized here and links provided to the project reports. Click Summary of landscape studies for a summary of these studies. In addition, Scenic Solutions has also carried out a landscape assessment project of the Lake District in England, an assessment of the World’s Best Landscapes, and an assessment of the visual impact of wind farms in New South Wales, Victoria and South Australia. Projects carried out by Scenic Solutions include the following. Dr Lothian conducted private research to assess the visual impact of wind farms in coastal and inland areas of South Australia. It examined 21 coastal and 47 inland locations. The research determined that wind farms diminished scenic quality in all coastal locations. For inland areas, where the prevailing landscape quality was low (< 5.1), the presence of a wind farm actually enhanced scenic quality through introducing interest in an otherwise dull landscape. Results of the research were presented at several international conferences including the European Wind Energy Conference in London in 2004. A paper was published in Geographical Research, 46:2, June 2008, 196 – 207. Paper: Visual Impact Assessment of Wind Farms in South Australia (19 pages, PDF 0.5 MB). The project was commissioned by the South Australian Native Vegetation Council which has a statutory responsibility to consider amenity aspects in its decisions on applications to clear trees. Such applications are common for vineyard development and pivot irrigation. The project involved photographing scattered and isolated trees in various regions, classifying the trees and selecting over 100 photographs for the survey. Based on the results, a mathematical model was derived which enables assessors in the field to determine the likely scenic quality provided by the tree(s). 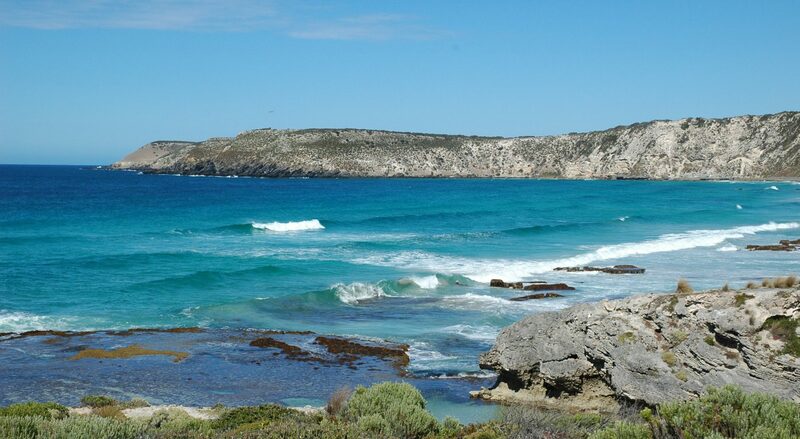 Recognizing the growing pressures on the coast from development, marinas, aquaculture and wind farms, the Coastal Protection Branch of the Department for Environment and Heritage commissioned Scenic Solutions to measure and map scenic quality for the entire 4,800 km South Australian coast. The report concluded with comprehensive recommendations covering planning of the coast. The report of this project won the PIA National Award for Planning Excellence in 2006 (for details click here). The project was commissioned by the Barossa and Light Councils and Planning SA. Its purpose was to assess the scenic quality of the Barossa Valley Region rural landscapes outside of townships. The project was commissioned by the City of Victor Harbor as part of its strategic planning process. The tasks were to describe the landscape characteristics and assess scenic quality for the region and make recommendations covering landscape amenity for strategic planning. The project was commissioned by the Department of Water, Land and Biodiversity Conservation. Its purpose was to measure and map the scenic quality of the River Murray, Lakes Alexandrina and Albert and the Coorong. The project was initiated by the Department for Environment and Heritage. Its purpose was to measure and map the scenic quality of the Flinders Ranges, comprising arid mountainous ranges in the north of South Australia. This landscape survey, carried out as private research in 2012, examined whether generic landscapes approach might provide an alternative to measuring and mapping landscape quality, and also seek to put landscape quality assessment on a more scientific footing. Scenes were digitally altered so as to provide scenes with and without hills, trees and water. The ratings provided an indication of the influence of each component to landscape quality. Report: Generic landscape survey report (PDF, 11.3 MB). During 2013, a major project was commenced and completed of measuring and mapping the landscape quality of the Lake District National Park in England. The Lake District, probably the UK’s foremost National Park which attracts over 15 million visitors annually, is of outstanding beauty and has long been the subject of artists, photographers, poets such as Wordsworth and writers such as John Ruskin, Beatrix Potter and Arthur Ransome. The project was undertaken with the cooperation and support of the National Park Authority and the results of the project were provided gratis to the Authority. The project commenced with three week-long photographic trips through the area in March (winter snow), June (spring flowers) and July (summer). An internet survey was then compiled and invitations to participate were emailed to over 1500 addresses in the UK. Over 500 participated in the survey, the results of which were analysed and the landscape quality mapped. The project ended with a presentation at the National Park headquarters in Kendal in mid-November. During 2015 a major project was commenced and completed to measure and map the landscape quality of the Mt Lofty Ranges in South Australia. This was been a long term aim as several early landscape assessments were carried out in this area without success. There was also considerable interest during the 1970s to declare the area an English-style National Park under mainly private ownership and management. Currently there is interest in nominating the region as a World Heritage Area on the basis of it representing the Wakefield plan of settlement for South Australia. The project commenced with three months of photographic trips throughout the region during January – April, 2015. An internet survey was then compiled and invitations to participate were emailed to 1700 addresses of clubs and associations in the Ranges and Adelaide. Over 500 participated in the survey, the results of which were analyzed and the landscape quality mapped. Having measured and mapped landscapes in South Australia and the Lake District in the UK, all of which averaged in the range 5 to 7, the question arose, what ratings would the World’s best landscapes achieve? What are the characteristics of such landscapes? Where are such landscapes located? In early 2016 I carried out a survey of the World’s best landscapes. The selection of scenes was based on sites in the World Heritage List and also in lists of the World’s Wonders. A set of 45 such landscapes were selected and 3 images of each chosen plus a few from South Australia and the Lake District. The total survey comprised 143 scenes. The survey was placed on Survey Monkey, invitations to participate emailed out and after 16 days the survey had 146 responses. This was lower than expected. There were 128 valid responses, a confidence interval of 8.66%, somewhat greater than the 5% target but sufficient to indicate community preferences. The top rated scene was of the Plitvice Lakes in Croatia with a rating of 8.55. The group of three scenes from the Lakes also was the highest group rating, 7.93. It had been expected that the ratings of the these, the World’s best landscapes would be in the 9’s and 10’s and the reason they were lower was probably because respondents did not know the range of scenes in the survey and so reserved their 9’s and 10’s. The results ranked the 143 scenes and the 45 groups of scenes. As a follow-up to the author’s 2003 study of wind farms in South Australia, this 2018 study extended to actual wind farms in New South Wales, Victoria and South Australia. In addition to asking participants to rate the scenic quality of the landscapes with and without the wind farms, it also asked them to indicate whether they regarded the wind farm as acceptable or unacceptable in the particular landscape. The project analysed the ratings of 779 participants from throughout Australia. The report provides a summary of 21 public opinion surveys regarding wind farms in Australia which showed that 75% supported wind farms. Of 17 instances of litigation before courts regarding wind farm proposals, only two resulted in their rejection. A review of social acceptance literature indicates that rather than technology, social acceptance by the community is the main barrier to wind farms. Their visual impact is a major reason for rejecting wind farms. The project had an unexpected result. Wind farms in all but one of the scenes were considered to be acceptable by the survey’s participants including in high quality landscapes. The survey found that ratings of wind farms decreased with more turbines, wind farms along ridges were favoured over random layouts, and higher turbines rated slightly lower than lower turbines.